I’ve taken a little break lately. From the blog and from my normal routine of cooking. That’s because I’ve been working at Park City Municipal the last couple weeks and I wrote a novella. Both have been fun experiences–the job is great because it’s fun to meet new people and learn new skills, the writing is great because creating characters and a storyline is like bringing people to life. It’s like giving birth without all the unpleasantness of giving birth–although I did lose a lot of sleep thinking about the dang plot. And you know what? It’s been really nice to spend some time away from my kids. I enjoy going to the office. And then I enjoy picking them up from daycare. The anticipation of seeing their faces after being away for ten hours is great. I’m so happy to hug them and spend the rest of the evening feeding, bathing, reading to, and playing with them–the things I haven’t been excited to do for a long time. But for you working parents out there, dinner is a toughy when you get home at 5:45 and have two starving children. You have to get dinner on the table fast! 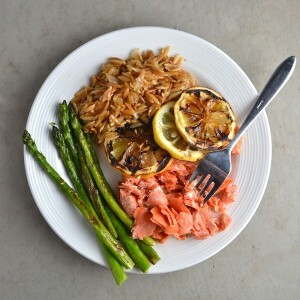 So, I’ve been simplifying and this meal has been one of my quick and healthy options. 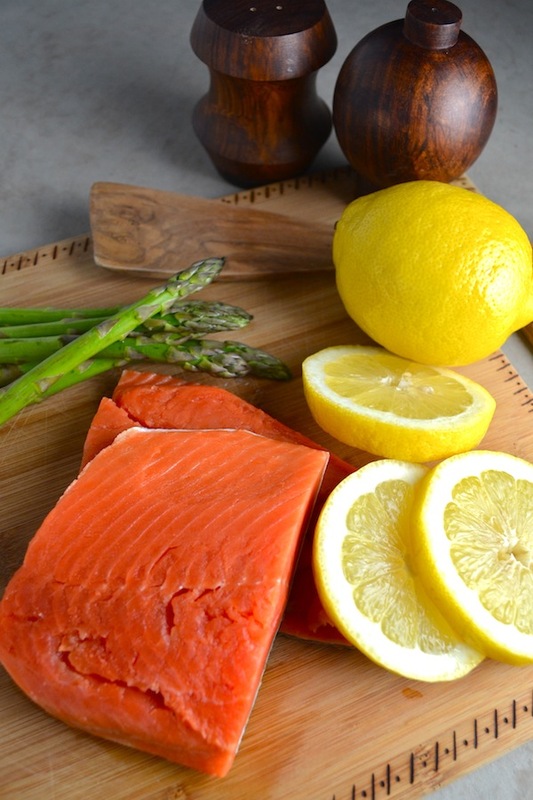 Have you ever grilled your salmon on lemon slices before? It keeps the fish from sticking to the grill and infuses lemon flavor into the filets at the same time. The lemons will probably stick to the grill, but that’s okay, cause you’re not eating them and they don’t need to look pretty. I like using fresh skinless filets for this recipe, but you can use frozen or fresh with the skin on too. 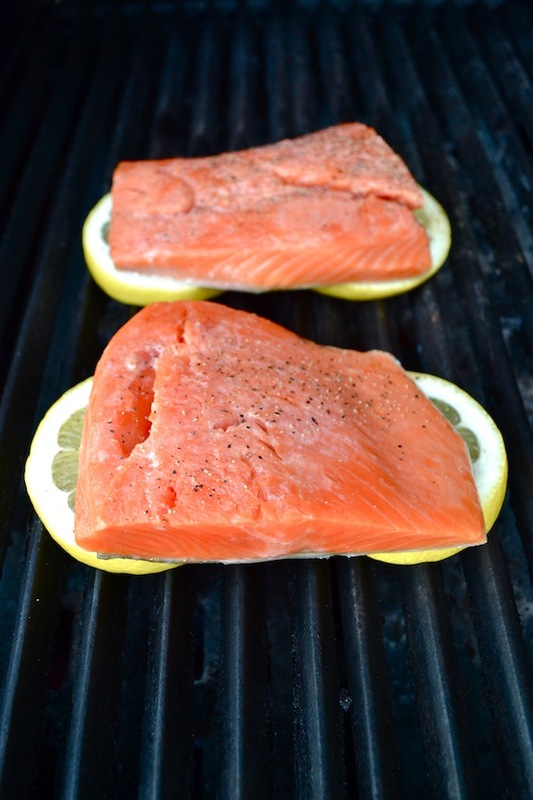 Any size of filet will work, just slice enough lemons to cover the bottom–keeping the fish mostly off the grill. Here’s to fast and easy meals! Rub the salmon fillets with olive oil. Cut the lemon into ½ inch rings. Place the lemon rings on the grill. Place the fish on top of the rings. Cook for 4 minutes, then turn the filets, placing them on the lemon slices again. Cook for another 4 minutes or until the fish is just barely opaque throughout. 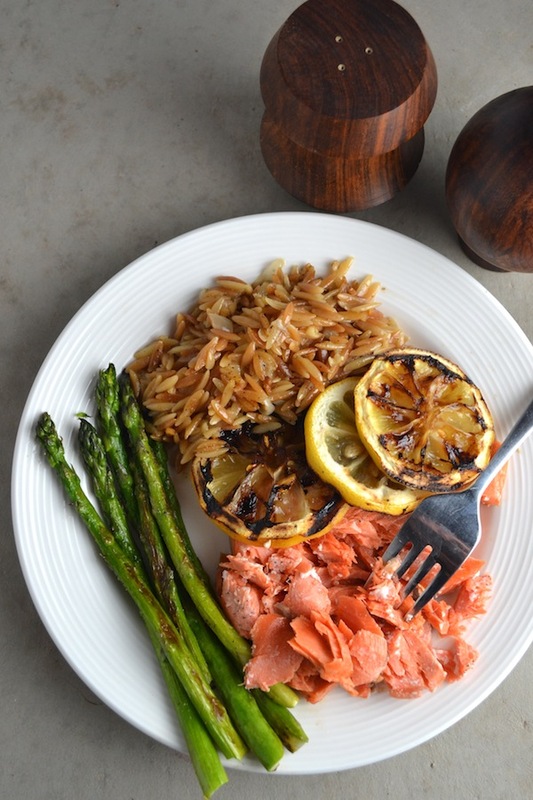 Serve with grilled asparagus and rice. 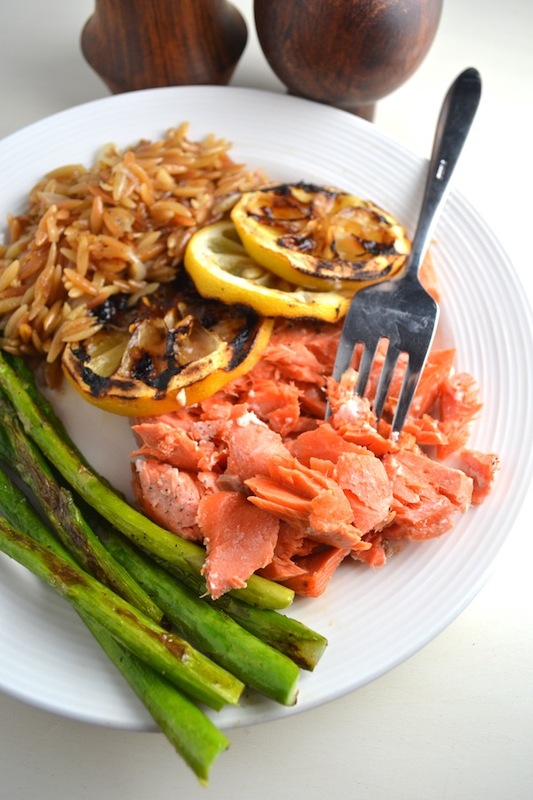 Thank you for share this recipe: GRILLED LEMON SALMON. I love you!